After a day full of playing and running around, dogs usually end up with an unpleasant smell. You need to plan for a regular bath and cuddling with your pet to overcome that odor. However, most dog owners find that their pet has that awful smell even after a regular shower. This makes it terrible to share a bed or also maintain that close distance with your loving pet, which is why you need to find the best smelling dog shampoo. However, as a dog owner, I know that looking for the right product that will deliver results without causing other complications or your dog discomfort is a challenge. Therefore, we have researched and present here the best products on the market. How To Choose The Best Dog Smelling Shampoo? Fresh’n Clean is our top pick product as it offers a long-lasting and refreshing scent, which refreshes after wiping your dog. This dog shampoo contains natural ingredients, and it is relatively cheap as compared to other quality products on the market. Therefore, if you are a pet owner who wants to spend less while still enjoying great results, then this is the right product for you. The dog shampoo comes with chemical agents that do not cause any harm to you or your pet but enhance the effectiveness of the product. Besides, the features a formulation that comprises of ingredients that are high-quality and certified. This makes the shampoo ideal for dogs that easily get dirty. Fresh ‘n Clean helps in getting rid of mats and tangle and features a refreshing smell that lasts for a long period of time. 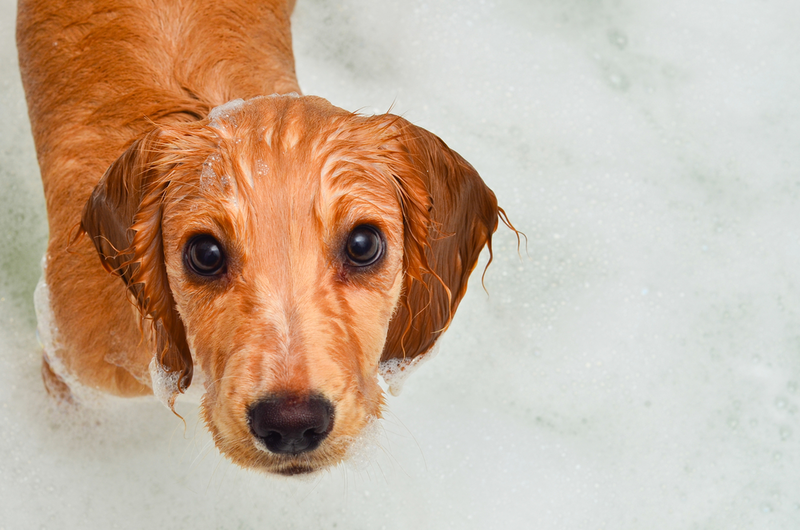 The dog shampoo is easy to use as the foam rinses off fast. Besides, the product is also a great conditioner as it offers extra moisturizing effect for the coat and skin. It comes in a big bottle size and can be used for a very long time. This saves you the hassle of having to purchase a another bottle of shampoo now and then. However, the only downside to this product is that it features a poor packaging as it comes with a faulty lid. This is because the plastic bottle that wraps it breaks off easily. This is one of the best smelling dog shampoo on this list as it is ideal for sensitive skin and gives your pet a healthy coat. However, the dog shampoo is relatively expensive and therefore would be great for those who are ready to spend some extra cash in acquiring the best product. Washing with Earth All Natural in lukewarm water feels light and comfortable. Besides, the dog shampoo is effective in calming an itchy skin and even works as a moisturizer. Earth All Natural comes with animal testing-free and biodegradable products, which is crucial if you love and care for animals and planet. Consequently, the dog shampoo features a combination of oatmeal and Aloe Vera that offers the much-needed gentle touch. The product is also free of soap ingredients, which mostly causes dryness. This dog shampoo is a chemical-free product that improves your dog’s coat while increasing the coloring and hair volume. This is because the product contains natural ingredients that are also tender on the skin. Besides, the dog shampoo comes with vanilla and other natural extracts that offer a heavenly scent that lasts for weeks. Finally, the product is rich in nutrients that help in maintaining healthy hair and fighting the thinning of hair. The only negative thing about this product is that it is not suitable for dogs with a thick and smelly coat. Wahl is the most affordable best smelling dog shampoo among other products. It comes with a formulation of natural ingredients that include oatmeal, lime, coconut, aloe and lemon verbena. The formulation helps in soothing and managing dry, itching, and irritated skin. This provides a healthy skin and coat with less shedding. Wahl shampoo features a combination of lie and lemon verbena. This helps in cleaning the skin and the coat in the most natural possible way, while coconut and Aloe Vera moisturizes the skin. The dog shampoo keeps the pet tidy, smells great and offers the all-natural blend, which makes it one of the best products to buy. The shampoo is rich in lather, which makes it efficient even with a smooth rinse. It helps in reducing the bath time as well as making it an easy time for you and your pet. Wahl dog shampoo contains plant-derived ingredients, which makes it ideal for pet owners who want to avoid harmful chemicals. It helps in protecting you and your dog from the effects of these substances. Finally, Wahl dog shampoo is PEG- Free and therefore it is a no tears product. The only negative thing about Wahl dog shampoo is that it is too concentrated as it is a robust natural blend. Therefore, it is advisable to use a little amount of it as it could cause flaky skin or dryness if used in large amounts. Pro Pet Works is the ideal product for those who want to upgrade from other dog shampoos to a compelling product. This shampoo is a perfect groomer as it delivers creamy lather and light foam that makes the process of washing your dog comfortable. This product comes with a delightful smell that lasts for days after a wash and ensures a great feel when you touch the dog’s skin and the coat. Pro Pet Works features a potent formulation that delivers excellent results even when not used in large amounts. Besides, the product is easy to use as it requires you to wet the dog first, then apply and lightly scrub the shampoo, and then use some water to get rid of it. This leaves your pet with a glossy, fresh coat after few minutes of washing. The Pro Pet Works Shampoo comes with unique properties that help in controlling fleas and taking care of their bites. Therefore, it helps in treating dogs with regular flea attacks, which is the typical cause of pink skin and sensitivity in dogs. The product has high, natural scent and active ingredients that help in driving fleas away. The shampoo easily penetrates the coat and the skin lining, which causes suffocation to fleas. Besides, the product helps in the detangling of thick coat completely, and therefore after drying the pet, you can get rid of the hair knots entirely by using a brush. Aromatherapy shampoo is the best natural smelling dog shampoo as it contains natural ingredients that are purely biodegradable. The dog shampoo is easy to use and delivers great results with no side effects, as it is free of harsh chemicals. The dog product comes with aloe vera and oatmeal that makes it a great cleaner and conditioner that leaves a soft and smelling dog skin. Other active ingredients in the product include lavender oil, Vitamin E, and chamomile. Lavender oil is effective in fighting many species of bacteria, especially those that are resistant to antibiotics. On the other hand, Chamomile is one of the best skincare herbs that are effective in managing skin conditions like contact dermatitis (Eczema). Finally, vitamin E helps in maintaining a youthful and healthy skin by blocking free radicals that cause early signs of aging. The best smelling shampoo should have a pleasant smell that delivers a gentle scent that is not too overwhelming. However, it is more important to you as a dog owner than the dogs themselves. Hence, you can choose to get a shampoo with a scent that you like, as it will last longer to improve how your dog smells. This is because natural scents will not affect your dog’s nose or the respiratory system and are useful in repelling irritating insects. The right smelling shampoo should help in restoring the proper PH level of the skin and the coat. This is because the PH getting out of balance is the reason why dogs smell, which could be due to bacteria, dirt, and much more. It is advisable to choose a dog shampoo with a PH of around 7. The other important factor to check is that the product does not cause skin sensitivity such as itching or inflammation. Just like humans, dogs are different when it comes to their reaction to some ingredients. Besides, some elements can cause severe irritation that might even hurt your pet. Therefore, it is important to get products with all natural formulation that has great reviews. This helps you to ensure that you do not fall for products that irritate your dog’s skin. Besides, you should also get a dog shampoo that is free from common allergens such as paraben, phthalate, and alcohol. The best smelling shampoo should eliminate the stink on your dog’s skin while also leaving that great smell. This is because leaving a pleasant smell is not enough in delivering a lasting solution to odor. Consequently, you should look for shampoos with ingredients that absorb odors and wash them off before leaving a great scent. This is because your focus should be on choosing shampoo that takes the odor off and not masking the smell. If you consider this feature, the aromatherapy shampoos are the best choice. Most dog owner tends to give their pets clean their dogs when they are only smelly or dirty to protect them from skin infections or fleas, or ticks do not affect your dog. 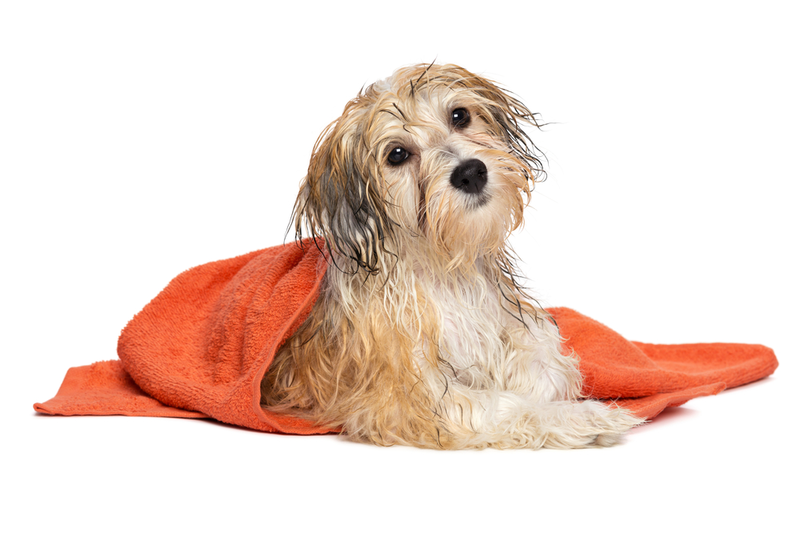 Fortunately, many dog breeds can even take a week after a bath, but it is a process followed by most owners to protect their dogs. The presence of bad smell is the clearest sign that your dog needs to be given a bath. Dirty dogs usually have a suffocating smell, especially if they partly spend time outdoors. However, a bad odor on skin may also develop due to some skin complications on some body parts like the eyes, groin, and ears or yeast infections. Therefore, you should also be careful in determining the cause of the odor to avoid using a shampoo that will worsen the skin conditions affecting your dog. Scratching can also be a sign that the dirt is spread all over the body and therefore your pet needs a bath. Besides, this could also be a sign that the dog is infected with fleas, ticks, and mites, which can be controlled by regular washing. Therefore, seeking advice from a vet on the best anti-tick and anti-flea shampoo for your dog is essential. When you find your dog rubbing on carpet or ground after popping, this could be a clear sign that your dog needs be cleaned. This might not be a universal sign, but it must be telling something. If your dog tends to lick himself after pooping that could be a way of cleaning himself. This could be caused by the accumulation of something for some time that could result to irritation and itching. Therefore, it could be a sign that your dog needs to have a bath to help in relieving the discomfort. It is essential to give your dog shower regularly if it spends a lot of time playing with other dogs from the neighborhood. It helps in preventing the spread of of fleas and other dog infections between the pets. Overall, choosing the best smelling dog shampoo is challenging because of the hundreds of products available on the market. This makes it hard for you as a pet owner to check on the products that offer great results with fewer side effects and the one that fits your budget. However, this article will make this process simple as we presented here detailed reviews of the best dog shampoo. Besides, a buying guide above enlightens you on the key factors to consider when choosing the right product. 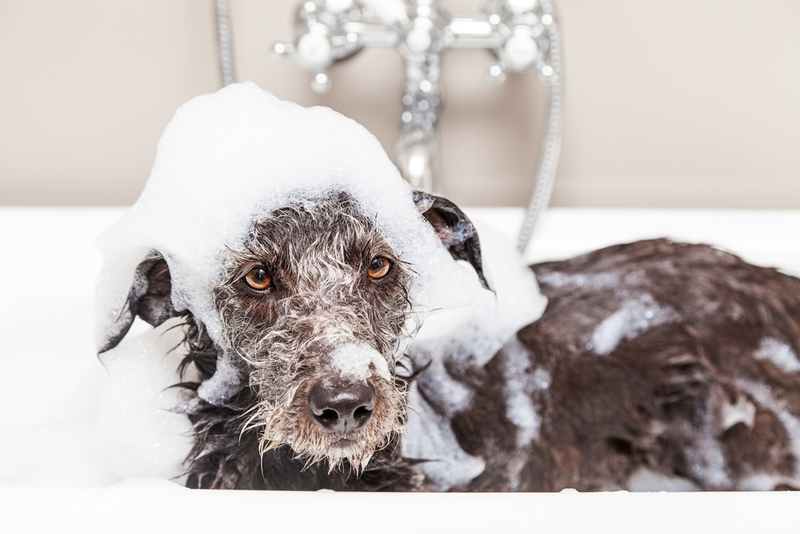 Fresh ‘n Clean is our clear winner on this list of the best smelling dog shampoo because it is a quality product with excellent scent and purely natural ingredients derived from plants. Moreover, the product is also relatively affordable and delivers long-lasting results. Why Is Hiring A Professional Dog Groomer So Expensive?